Felt basket set of 2 from 5mm thick, high-quality felt from 100% virgin wool: „Steckwerk Set“. 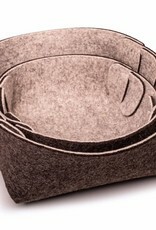 The felt baskets live together with you, change place from time to time and cut a good figure together or individually. 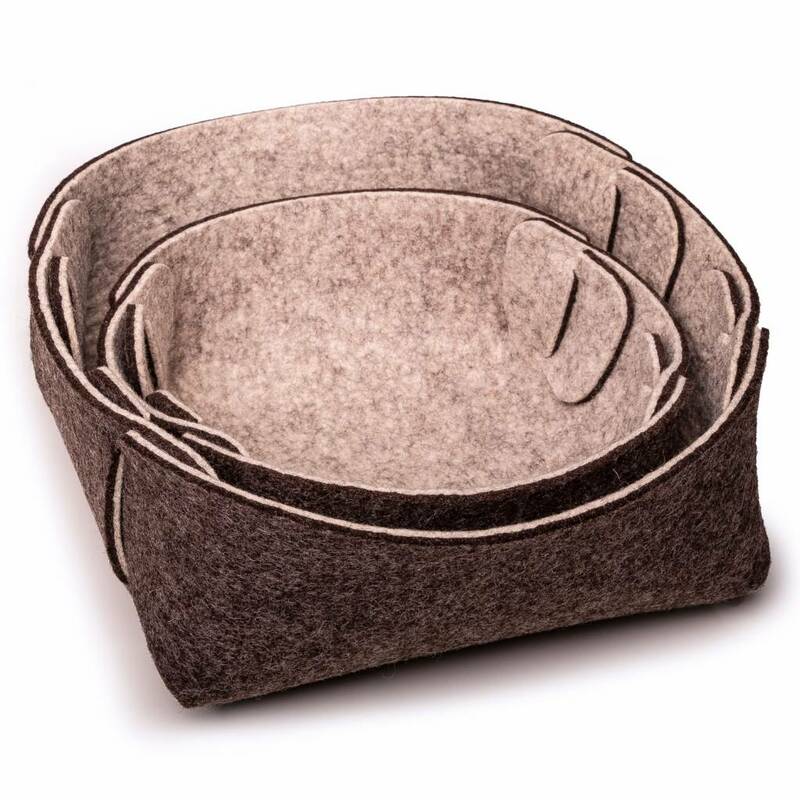 The felt basket is ideal for storing many small things of everyday life. The felt baskets in the „Steckwerk Set“ are delivered flat and you simply insert the flaps into the slots (from the outside), so your baskets are ready. The felt baskets „Steckwerk Set“" are perfect as bread baskets to serve bread, rolls and pretzels at a nice breakfast or the so-called Vesper. The felt baskets in the „Steckwerk Set“ are ideal for storing your jewellery or watch. There are many opportunities for always new decoration ideas: Spring decorations with eggs and rabbits as an Easter basket or with cones and nuts in autumn. Keys and wallets are always at hand here: in the felt key tray or in the felt catch all. We take great care with our photos, but the color of the small, gray bread basket may vary on different monitors and displays. Felt is a natural product: Small inclusions of grass or straw are no reason for complaint but signs of an authentic natural product.